The NARHA 2011 Region Conferences are on the NARHA website. Check the Region Conferences page for dates and registration information. While it may seem that the NARHA 2010 National Conference just finished, plans are already well underway for the NARHA 2011 National Conference and Annual Meeting in Lexington, KY. Mark your calendars now for Nov. 9-12, 2011, and plan on a week filled with learning in sessions, networking with friends and colleagues and celebrating the accomplishments of those in the equine-assisted activities and therapies field. Watch the NARHA website for updates. So, you've renewed your center membership but have received a letter from NARHA stating that your center is non-compliant. Don't panic! The most common reasons for non-compliance can be easily resolved. Click here for an explanation of these issues and the steps to take to correct the issue. FRDI/HETI is proud to announce the call for abstracts for the 2012 Congress. Click here to link to the Congress website and put this amazing educational opportunity on your calendar for 2012! Most horses understand these voice commands as well as the rider's natural aids needed to perform them, no matter what they're called. Horses show no bias when it comes to doing their job. The NARHA Riding Certification Subcommittee stresses that the NARHA certification program and testing also shows no bias. The subcommittee has gathered feedback from certification candidates and recognizes some clarification of the certification process, especially the riding component, may be helpful. Click here for information on NARHA's certifications. 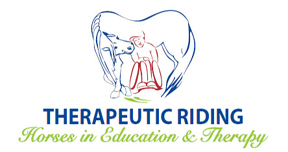 The American Association of Equine Practitioners, a 2010 NARHA co nference sponsor, is celebrating the "good works" of veterinarians who are devoting time and expertise beyond the scope of their everyday practice to help horses and the equine community. 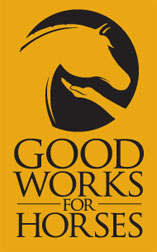 To discover the Good Works of AAEP veterinarians, nominate a Good Works candidate or find out how you can get started volunteering, visit www.aaep.org/goodworks.htm. For more information on nominating a veterinarian for this program, contact Elizabeth Troutman, publications coordinator, at etroutman@aaep.org. 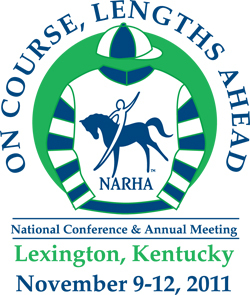 The American Association of Equine Practitioners is headquartered in Lexington, KY, which will host the 2011 NARHA National Conference November 9-12. NARHA would like to accommodate individuals eager to be certified as Equine Specialist in Mental Health and Learning by holding more workshops and practical horsemanship skills tests. Help us add workshops for 2011! Workshops will now be offered with the new Equine Specialist in Mental Health and Learning practical horsemanship skills test if the host site chooses. Host sites can also host the practical horsemanship skills test without a workshop if they wish. This skills test is a requirement for certification. If you are interested in hosting at a Premier Accredited facility or for more information, contact Tara McChesney at 800-369-7433 Ext 114 or tmcchesney@narha.org. Help get these workshops scheduled for 2011! Unless otherwise noted, contact Tara McChesney at (800) 369-7433, ext. 114 for further information. All dates are subject to change. Gayla Driving Center/U.S. Driving for the Disabled, Inc. Currently we do not have any workshops or certifications scheduled for 2011. Please contact the NARHA office if you are interested in hosting. Please visit the NARHA calendar for a list of 2011 Registered on-site workshops and certifications (they are a light teal green color). Please note the list is not complete. There will be more Registered OSWC events added.